Nicole Richie shared these pictures yesterday via her twitter. Nicole Richie and her friend Hayden Slater "Went on a hike with @haydenslater"
Joel Madden was also there for the hike ..
"Oh Yeah, this guy was there too." 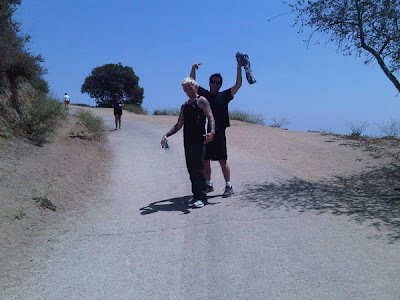 I wonder where they are hiking, the Hollywood hills? I might attempt to hike the hills when i get to Los Angeles in 49 days, woo hoo!